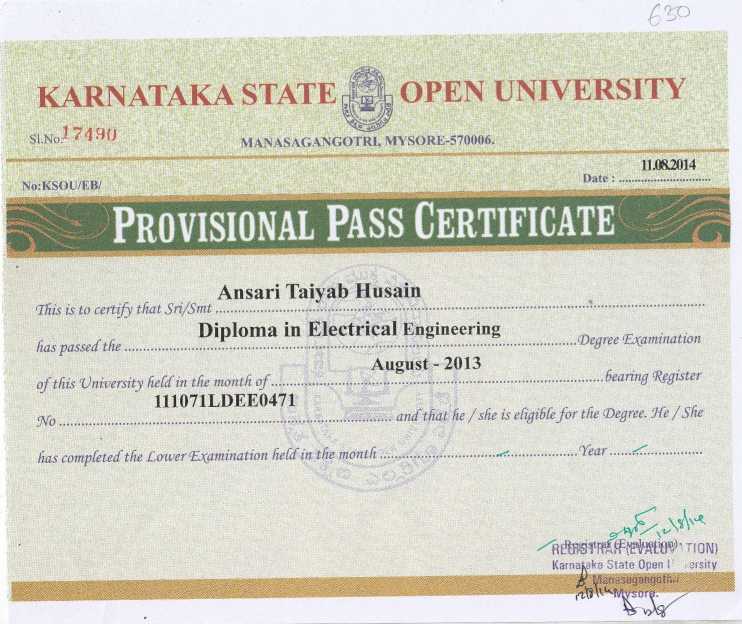 My brother want to know hoe the Degree Certificate of Karnataka State Open University looks . will you please provide some images of the Sample Degree Certificate of Karnataka State Open University. I want the Sample Degree Certificate of Karnataka State Open University KSOU so can you please provide me? 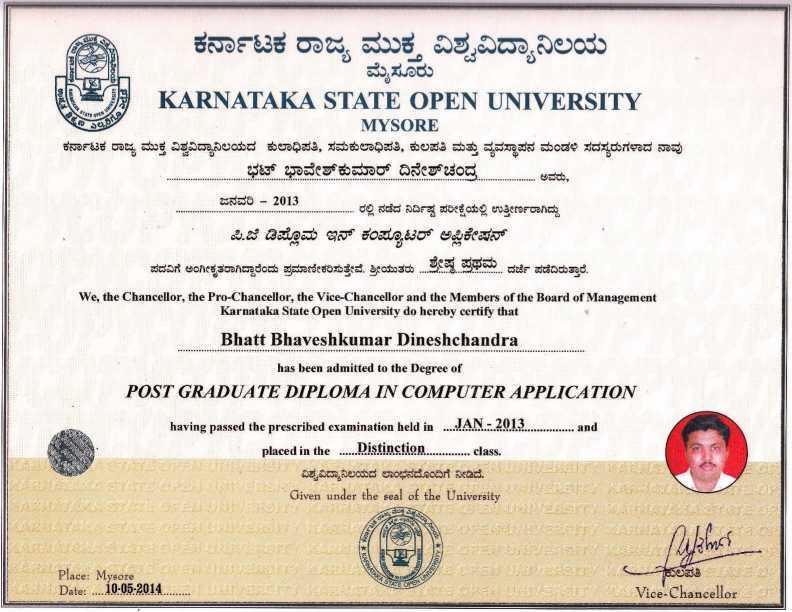 Ok, here I am providing you the Sample Degree Certificate of Karnataka State Open University KSOU. To receive the Degree Certificate after passing the examination, a student should directly apply to the Registrar (Examination), Karnataka State Open University, Manasagangotri, Myspre-6 in the prescribed application form. Other details may be obtained from the University after the press notification about the convocation. Students who wish to apply for degree may do so by filling up the attached form for degree along with one recent colored photograph, with all the self attested certificate photocopies of the student and the requisite fee. However the University will issue degrees only after the formal convocation. For provisional, you can apply after 3,4 months of program completion and for degree after 1 yr of program completion. 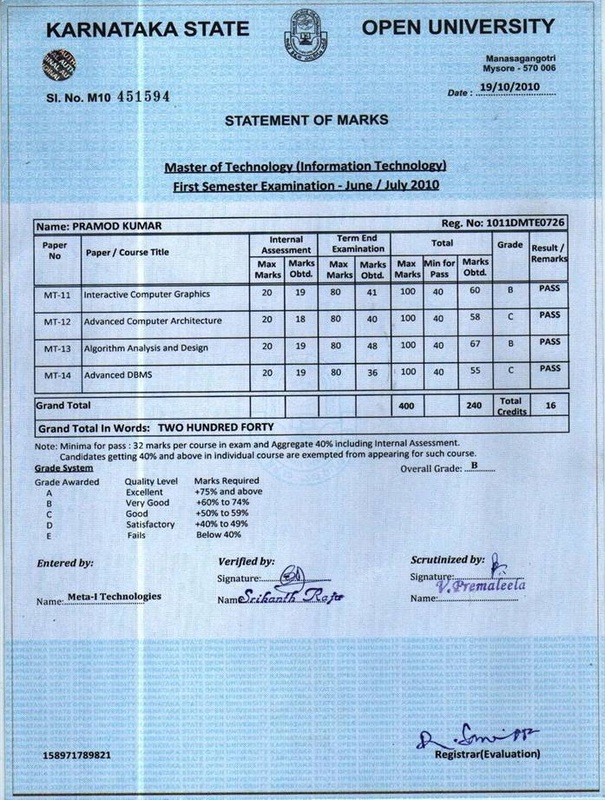 My son has completed his diploma from ksou in the year of 2014 but the university and as well as study centre, has been issued his diploma certificate so far. kindly suggest about it. [QUOTE=Unregistered;702784]if i start by saying recongntion of ksou is over. 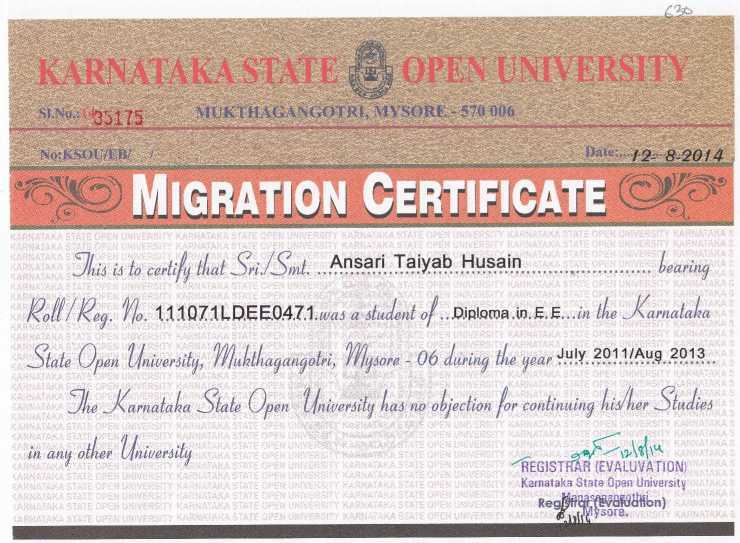 If u still dont know then you are not the only one..
i requried the migration certificate for other university admission . Dear sir I have done degree. And I got all marksheets and I have paid drag also but I did not get my pass certificate.so how I get.